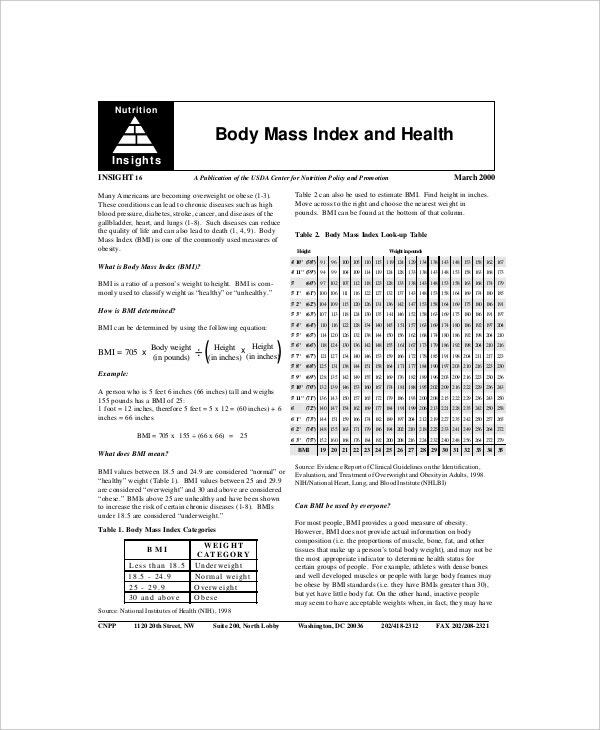 Body fat index chart is typically used to measure your body fat based on your age, body weight and height. It is applicable to both men and women, and helps in determining whether your fat loss goals are pragmatic or not. A body fat index chart helps in finding out your exact body fat percentage, so that you can workout a weight loss or weight gain plan accordingly. You can also see Body Fat Chart Male. Before you start a workout or a diet plan, it is important to find out your body fat percentage, and this is where a body fat index Chart Templates comes into use. Use a readymade template to create such chart easily, quickly and professionally. 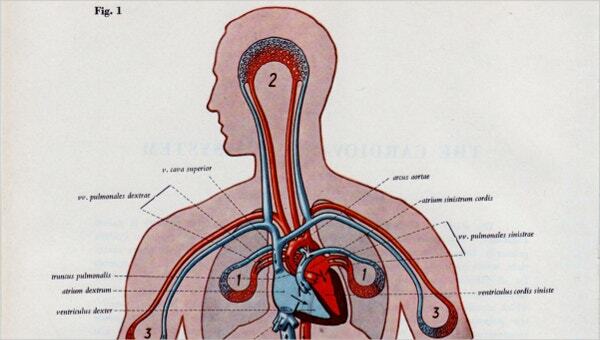 Fluids are undoubtedly the most important component of human body. Staying hydrated helps in improving our concentration levels, increasing our athletic performance, and enhancing our general well-being. Experts recommend using a body fat hydration index chart to know your body fat percentage in terms of your body’s hydration level. 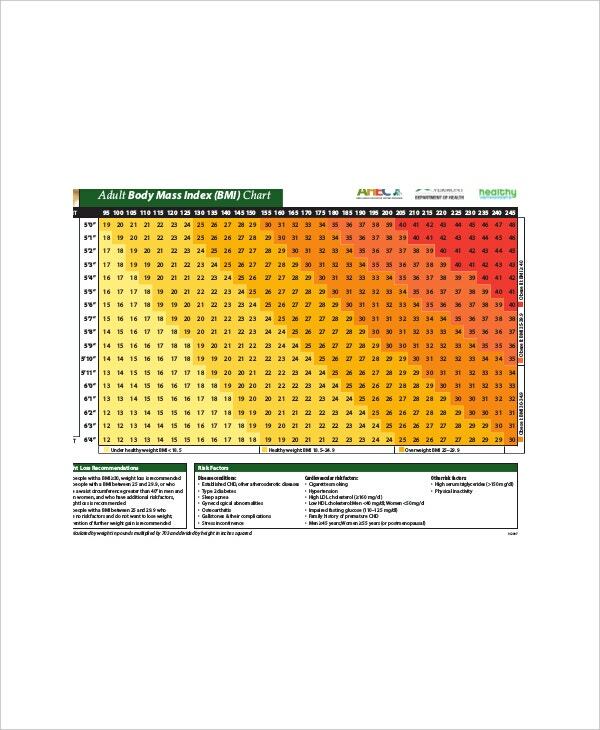 You can use a body fat hydration index chart template to create a chart that best suits your needs. Maintaining a healthy body fat percentage is extremely important for males to lead a good quality of life and be healthy and fit overall. Men with ideal body fat percentage have toned muscles, efficient metabolism and healthy heart. A body fat percentage chart male helps in determining your body fat percentage as per your age, weight and height. You may use a ready-made template to create a customized body fat percentage chart male as per your requirements and preferences. You can also see Body Fat Chart Female. Females gain fat as they age, due to which they tend to develop health related problems. That is why it becomes important to stay in shape and maintain a healthy weight and fat percentage. Staying in shape is important for improving your looks as well. 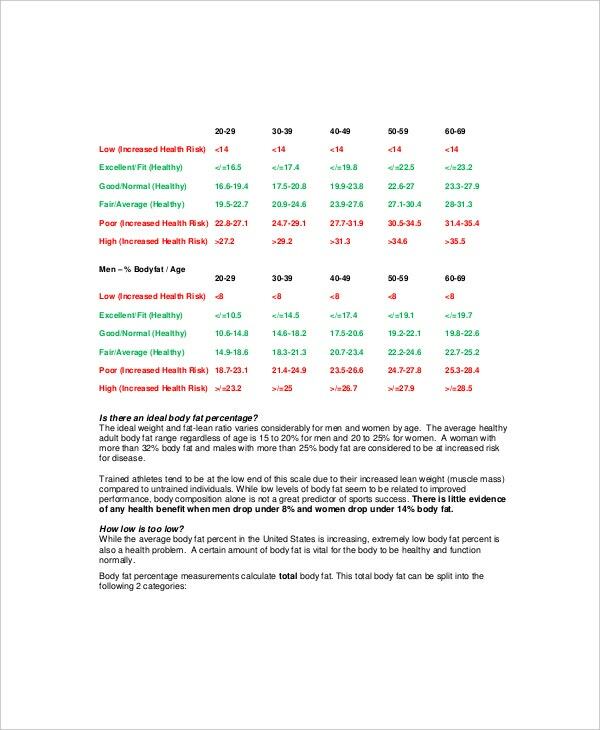 So, use a female body fat percentage chart to know your body fat percentage, and devise an efficient workout and diet plan to lose weight and burn fat. 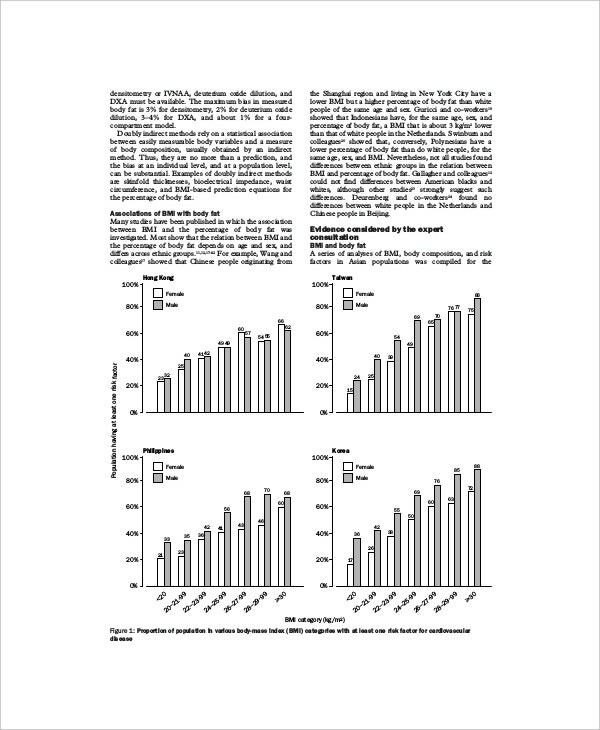 Those who want to create a diet or exercise plan to lose weight and burn fat You can also see Body Fat Chart by Age. 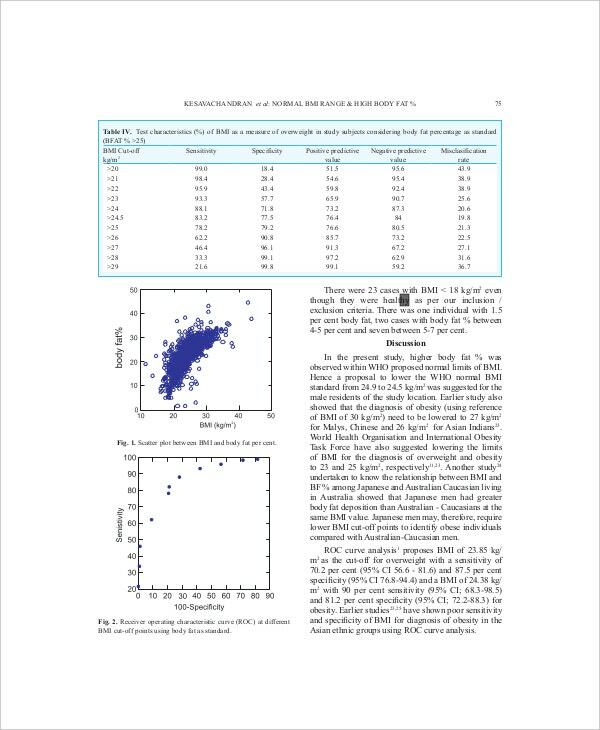 Female body fat index largely depends on her age, height, body weight, etc. After knowing your body fat index, you can decide whether you want to gain or lose weight or lot, and create an appropriate exercise and diet plan accordingly. 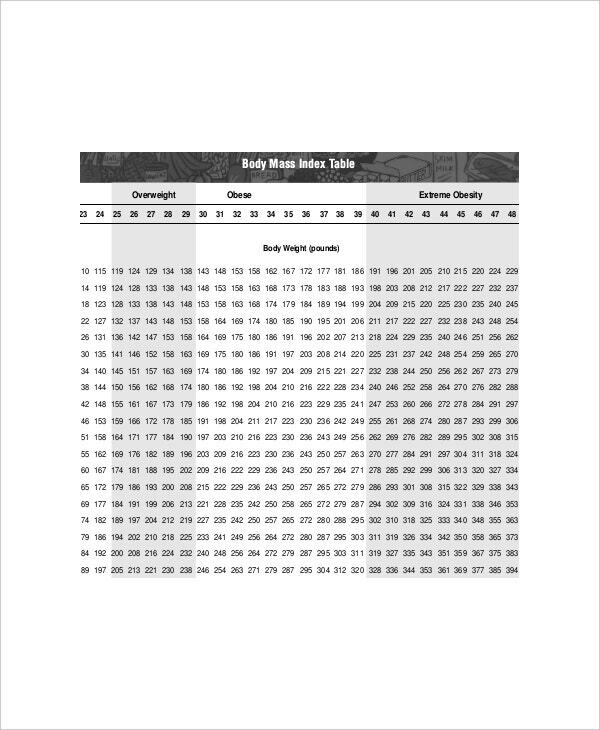 You can either buy a body fat index chart from the market, or create your own customized chart with a ready-made template available here. 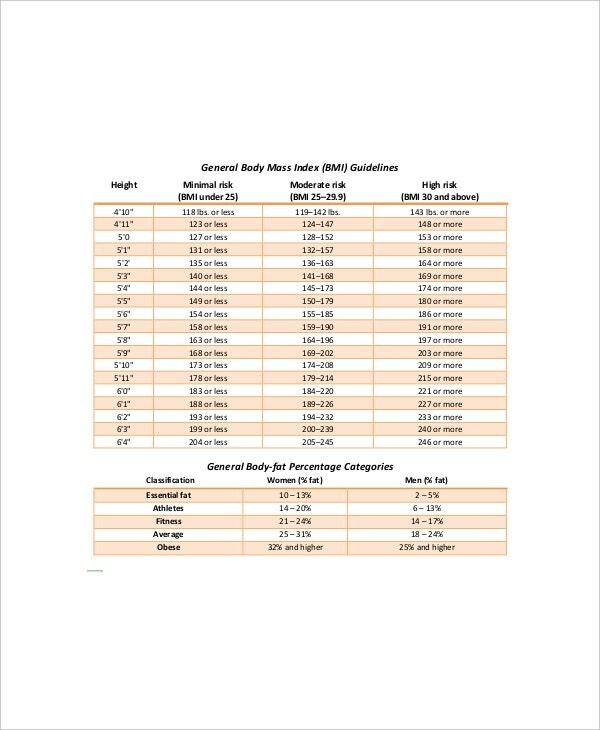 You can also see BMI and Body Fat Chart. 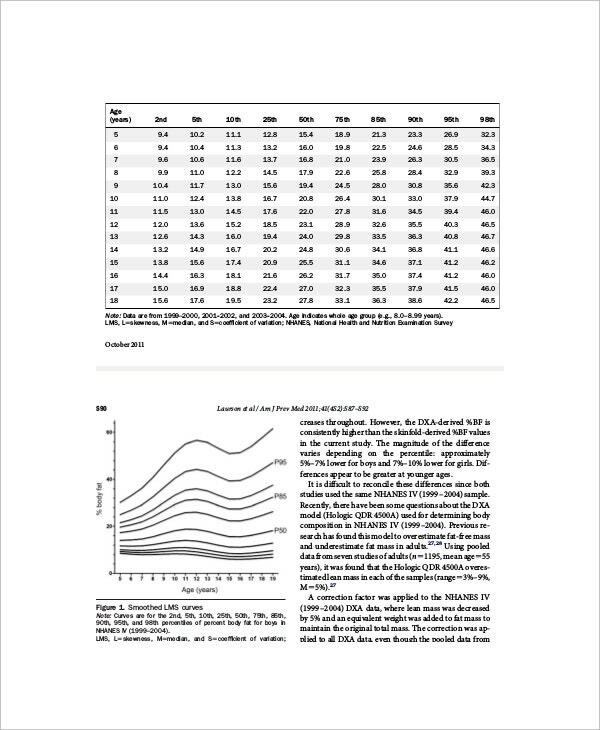 Conclusion: The body fat index chart templates available here are easy to download and customize. They are designed by professional experts, and each and every part is customizable as per your needs. 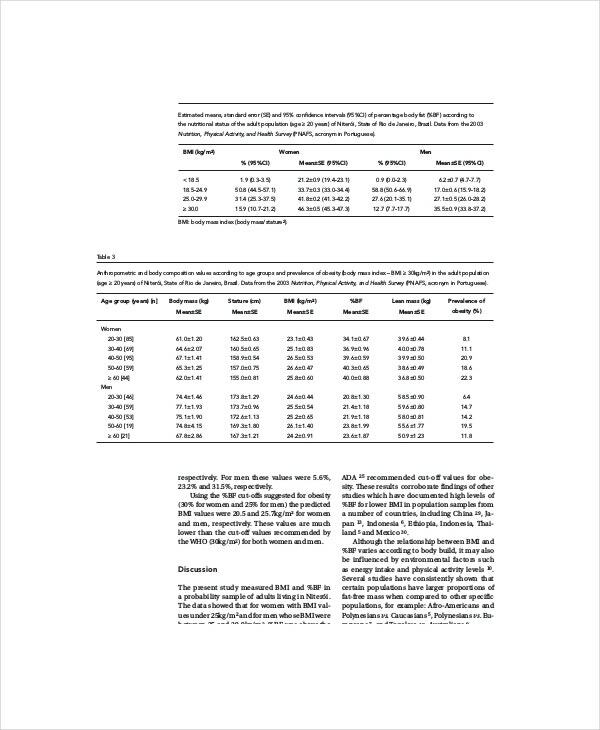 Not every chart is suitable for all, you can use these templates to create a tailor-made body fat index chart professionally.